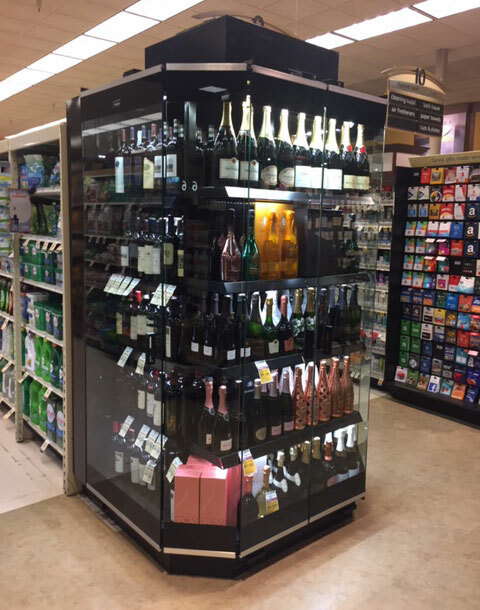 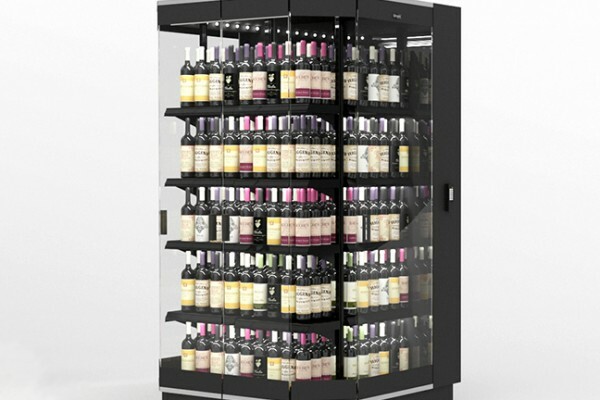 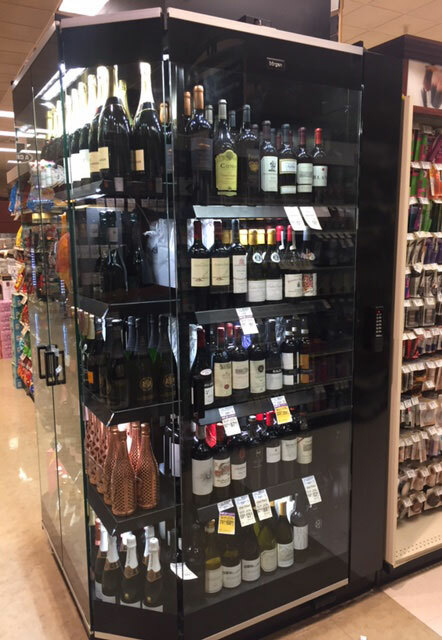 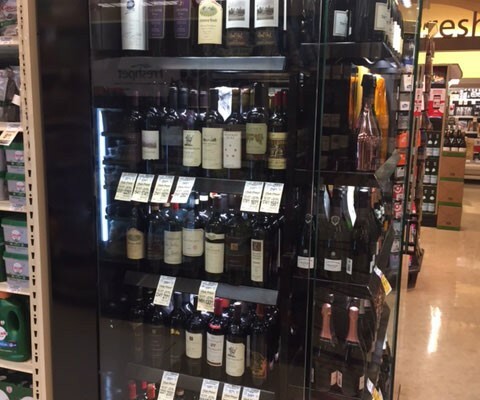 This new wine case is aimed to stop wine buyers in their tracks. 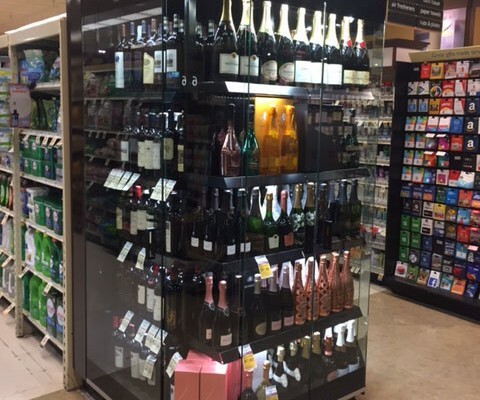 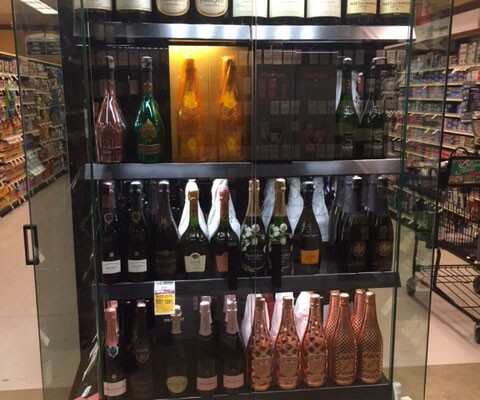 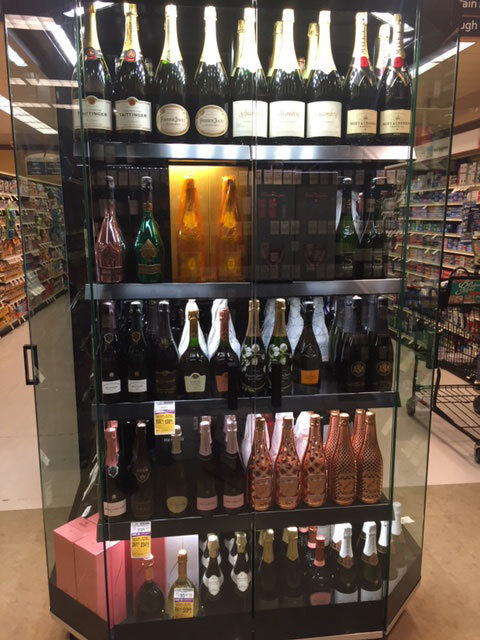 An elegant glass endcap features two bay corners on the front, giving full dimensional view of your best wine offering. 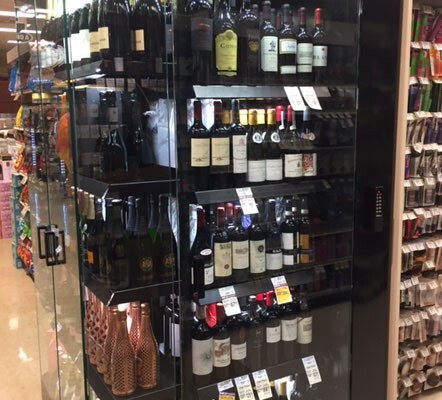 Bright LEDs under each shelf bring each bottle into clear view. 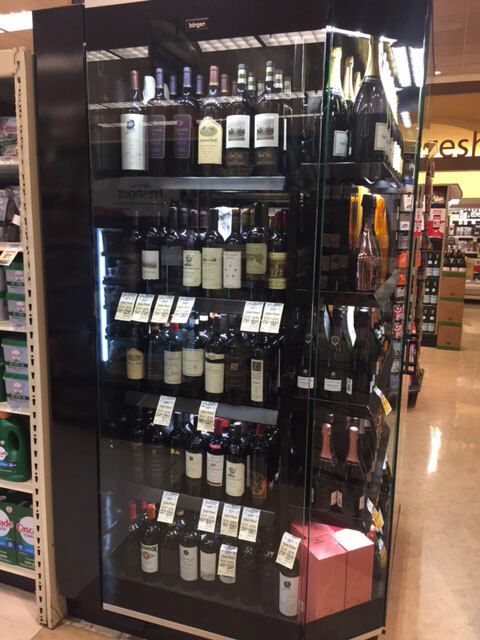 Shown here as remote refrigeration with optional electronic locks system. 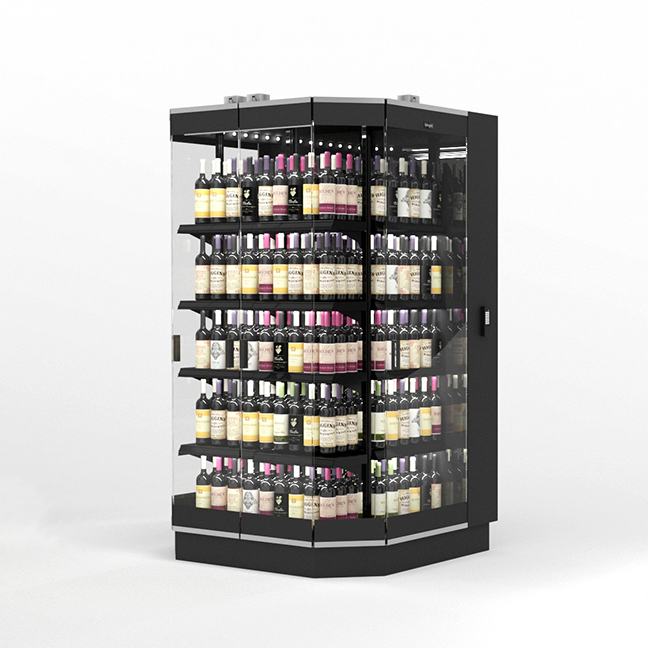 Also available in self-contained with Optional Condensing Unit on top.